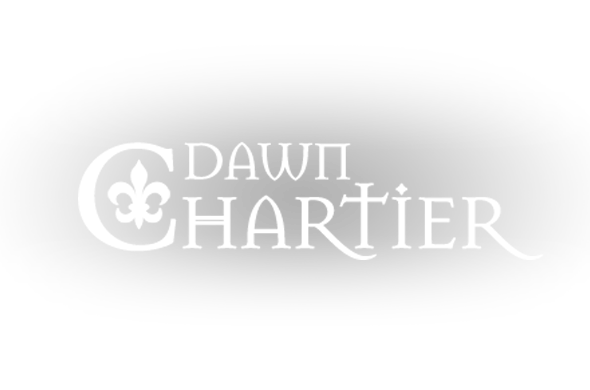 Dawn Chartier - Southern Romance Author | Writer of southern romance and more. 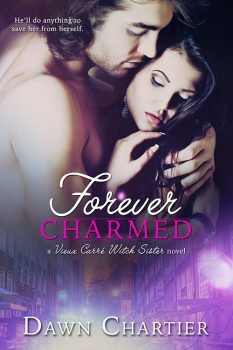 FOREVER CHARMED (BOOK 3) a Vieux Carré Witch Sister novel is out now! HIS WICKED DESIRE is as steamy, sensual, and spellbinding as its New Orleans setting. The Vieux Carré Witch Sister series is Paranormal romance at its best. He’s found himself a wicked witch. “Dawn Chartier has ‘Bewitched’ me from page one. You will not want to put this one down! Witches, Warlocks, and Paladins, oh my! Dawn Chartier has written an intriguing and believable world of Witches, Warlocks, and Paladins. Her fascinating plot kept me riveted to the end and wanting more. Storm and Nate have terrific chemistry that makes the reader root for them to get together. Will definitely read the next one! The characters were beautifully developed. There were many conflicts, external and internal, and all of them difficult to overcome. The reader is pulled into these unique characters’ lives from the first sentence: “Death was her only savior.” I couldn’t stop reading, even though I knew being a romance how it had to end. ~ Starla Kaye– Got Romance! Ms. Chartier creates an intense read that keeps the reader totally engrossed. I could feel for Kira and Trace with all their conflicts they each endured. Kira was deeply grounded in her love for her family and that definitely shined through in the story. I love the way Trace fights all obstacles to protect her. Not An Angel is a captivating read. The dialogue is wonderfully penned, the emotions mind-blowing; so incredibly sincere that the reader cannot help but have their heart pierced by the way Kira and Trace always make contact in this stirring read. ~ Cherokee – Coffee Time Romance & More.